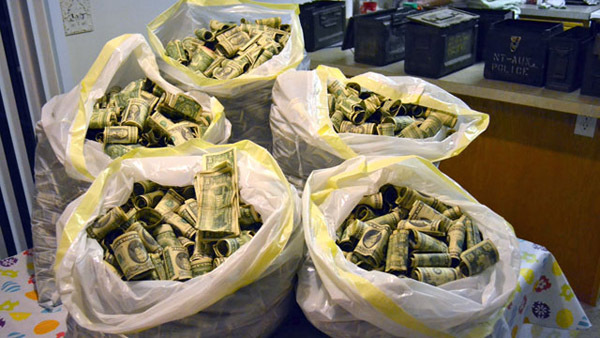 A Look at Some of the INCREDIBLE Things People Have Found in Their Attics, Basements, and even IN THE WALLS of their homes. For those of you who have older homes, have you ever went lurking around your house - in the basement, attic, or even wondered what might be burried in your walls or maybe in the backyard? Have you ever found anything interesting? Maybe some old post cards, some old toys, maybe some old records or some comic books? Well - suffice to say, there are a lot of homes out there that have a lot of secrets burried in them. 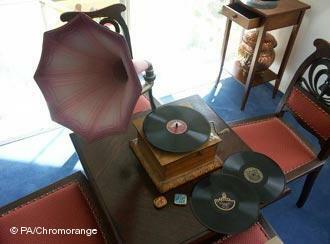 This is perhaps our most intriguing post...it came about by complete accident. You see, one of our clients bought a "Turn of the Century Home" - as in turn of the 19th to 20th century (yeah - 100 Year old home) and as they were doing some improvements we started joking about what type of hidden treasures they would find...aside from dead bugs, dead mice...and all those other gross things. Well, my curiousity peaked so I did a little Interweb Crawling and found some absolutely incredible stories of things people have found in their homes. 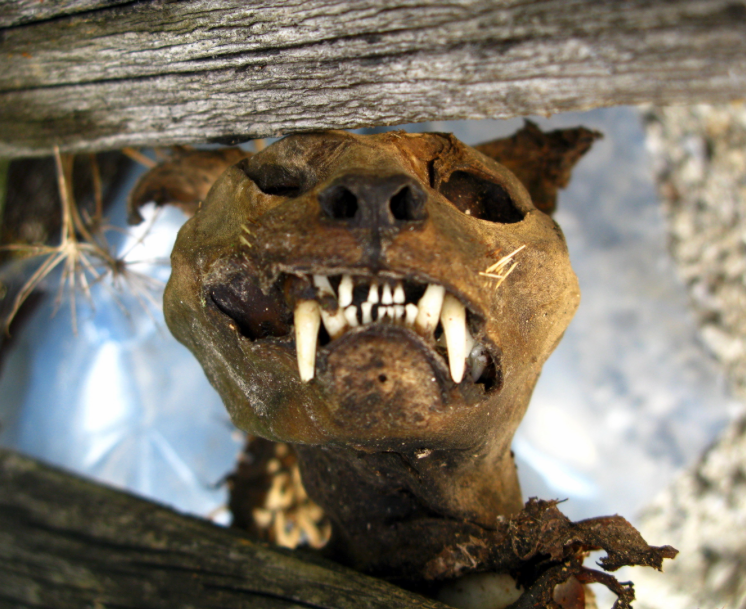 Below are our 10 favourites of the most bizarre but FACTUAL items found in the Attics and Basements of seemingly normal homes...some are increcible - other's just downright WRONG. All in good fun though. Enjoy! Let's start this off with our personal favourite...the "do it yourself Witch Repellent" we've been struggling for years on how to deal with those pesky witches - lol. Let me just start by sayind, Ewwwwww - and GROSS! As the story goes, "Witch Bottles" containing Urine, Hair, and Nail Clippings, were hidden in walls, and burried in the thresholds of homes to counteract a witch's curse and to ward off witches. 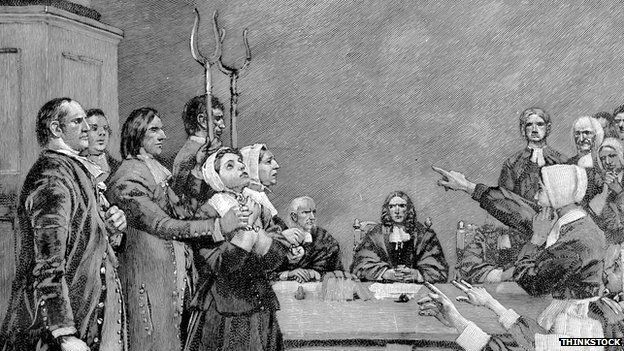 A Court record from 1682 documents that "a husband who believes his wife to be a witch should boil her urine, fingernail clippings and hair." As recently as 2009, in Greewich, a bottle was found that dated back to the 17th century...it was found to contain traces of nicotine! 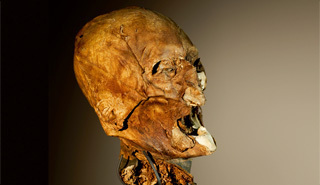 But not just any head...the head of 400 year old French Monarch King Henry 1V...who ruled France unil his death in 1610. According to the original article found at cracked.com, "As unbelievable as it sounds, scientists were able to verify the skull belonged to King Henry IV based on a dark lesion above the right nostril, a healed bone fracture above the jaw that matched a stab wound he received during an assassination attempt in 1594." The article goes on to say that Henry's grave was ransacked, by royalist-hating revolutionaries, and his head was "lopped clean off". The head was apparently purchased from an auction house in the early 1900's and then in 1955 it was bought by a man named Jacques Bellanger for 5,000 francs..."aaaaaaaand he proceeded to chuck it into his attic behind a broken chair and a box of old electrical bills...that's right, he 'got over' the emaciated skull of a king like you get over a Tamagotchi collection." We can't all be this fortunate...this is one of those, "Little Red Sports Car" stories that makes the "Geek World" faint from flop sweat. Man sees an ad in paper that says, "Little Red Sports Car For Sale - $500.00". Man calls phone number from the ad and inquires about it only to be told she knows nothing at all abou the car. It was her son's car and he died and it was in the garage and she wanted it out. Man asks if he can just "swing by" and look at the car - only to find the "Little Red Sports Car" is a near mint condition 1952 Corvette that her son bought before his untimely death. 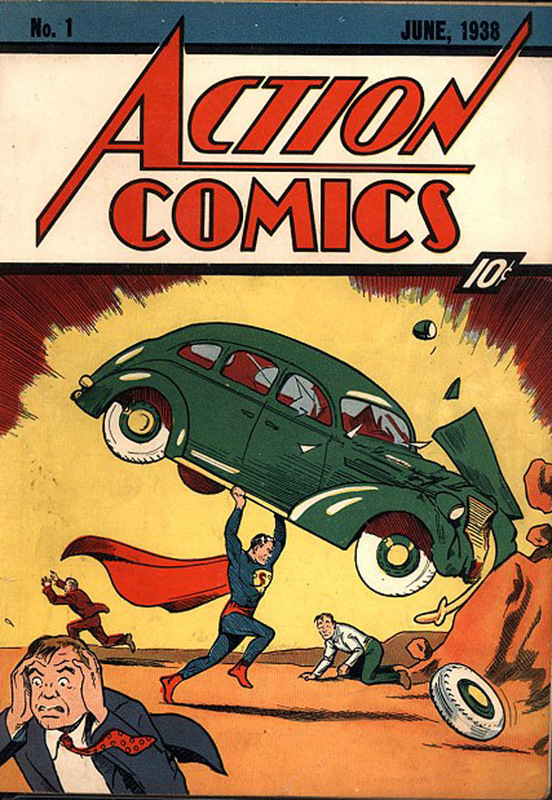 So, in the world of us comic geeks, and yes - I am one...the story of someone finding an Action Comics #1 (which is the FIRST APPEARANCE OF SUPERMAN) is insane....for the record - the most recent Action Comics #1 of "near mint" quality sold at auction for a cool $2.16 million back in 2011 and was purchased by none other than Nicolas Cage. A few years ago, a fellow by the name of Josh Ferrin of Bountiful, Utah bought his first home. Hours later he went to see his new home and started looking around - only to discover a little access panel in the garage that has a bit of carpeting sticking out...wouldn't you know it - he found an ammunition case from WWII , and 6 more just like it, that consisted of Rolled up Wads of Cash totalling around $45,000.00 in each box. ...and wouldn't you know it, Mr. Ferrin RETURNED ALL OF THE MONEY to the family of the deceased former owner of the house he bought in order to set an example for his kids, "the money wasn't ours and I don't believe you get a chance very often to do something radically hones, to do something ridiculously awesome for someone else and that is a lesson I hope to teach my children." 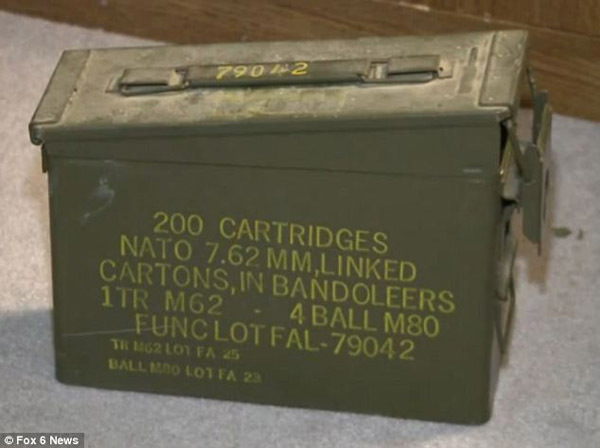 In March 2014, four live hand grenades were found in the attic of home in Oak Creek, Wisconsin. The bomb squad was called in and the grenades were safely removed and taken to a remote area where they were detonated. This is weird, even for me. But go figure - the practice of hiding cats in walls was an ancient ritual to ward off evil spirits and ALL over the UK, there are frequent findings of mummified cats. Tell me you woldn't completely lose your S#!+ if you were just casually knocking out a wall and all of a sudden the mummified corpse of a cat fell out...you'd be calling the cops and having that freaky neighbour kid investigated as fast as you could find and dial a phone! You wouldn't? Hmmm...guess that's just me then. 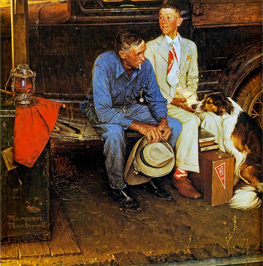 Imagine this...putzing around the house of your deceased father's home only to discover a famous Norman Rockwell Painting, but not just any old Rockwell painting - but the one entitled, "Breaking Home Ties" that netted $15.4 million at Sotheby's Auction House. And where did they find this gem? Would you believe behind a false wall? The story goes that a guy was getting divorced and had a copy of the painting made in order to prevent his wife from getting it! He managed to hold on to the painting through the split, but for some reason chose to disply the FAKE. He didn't tell a soul - even while on his Death Bed - he kept silent. ...and if you think that's insane, how about the story of Martin Kober's from Buffalo, New York who recently recalled he had a $300 million Michelangelo Painting behind his couch, where it had sat for 27 years!! 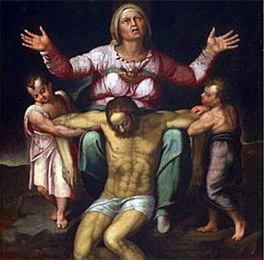 The painting depicts the Pieta, Michelangelo's famous marble sculpture located in St. Peter's Basillica. If you can believe it, the painting hung in the home until it was knocked off by a "rogue tennis ball". After the incident it was wrapped up and stuffed behind the couch. 15 Jugs and 30 bottles of Gin, Cognac, Scotch Whiskey, Jamaican Rum, French Brandy, Vermouth, and Medical Bitters were all found in a 110 year old Minneapolis home. They were carefully hidden behind a bead-board door. The Bottle stickers indicated the buyer of the collection purchased them in 1919 - ONE YEAR before prohibition. The labels on the bottles consisted of Martini e Rossi, James Buchanan, John Walker and Sons and John Dewar and Sons! Something absolutely crazy is that during the Prohibition - it was believed that US Government secretly added POISON to alcohol so people would be deterred from consuming it...and in de-classified documents in the 70's - it was actually confirmed to be TRUE!! This booze would have been worth an aweful lot of $$$ even at that time due to the scarcity of non-toxic, high quality alcohol. In 1991, the daughter of a Russian Military Intelligence Officer was sent to her father's attic to retrieve a badminton racket...and amongs her father's collection of old news papers, trunks of clothing, and other items - she also found some souvenir's her father kept form the Reich Chancellary - ADOLPH HITLER'S personal record collection. Authentication proved to be pretty easy - each of the records was quaintly labeled with the word, Fuherhauptquarier...which is German for "Reich Chancellery. Among the composers in the collection were Tchaikovsky (featuring violinist Bronislaw Huberman), Borodin, and Rachmaninoff...Russian and Jewish Copmosers. Labelled as "Subhuman" by the Nazi's - apparently Hitler didn't care who made the music he enjoyed - despite clearly stating, in his book Mein Kampf, that "Jewish Art Had Never Existed." Easily the CREEPIEST of surprises to find! I don't think I will ever be the same after reading about this...and all those noises I hear in the house are certainly going to be extra creepy for a while. This happened in 2012...so quite recently. Imagine going to bed after chilling out to a binge session of "Orange is the New Black" on Netflix...only to be woken by the sound of "nails falling from the ceiling to the floor", as the article states. That's exacly what happened for a lady in South Carolina. ...well, we aren't sure if she was watching OITNB...but hey - it's a pretty sweet show so maybe. She was quite freaked out, as anyone would be, and sent her Nephew (who just happened to be there at the time) to go in to the attic to investigate. He found the woman's EX-BOYFRIEND, whom she had "dumped" 12 years earlier. He wasn't only her Ex-Boyfriend either - he was also an EX-CON! He was actually spying on her. 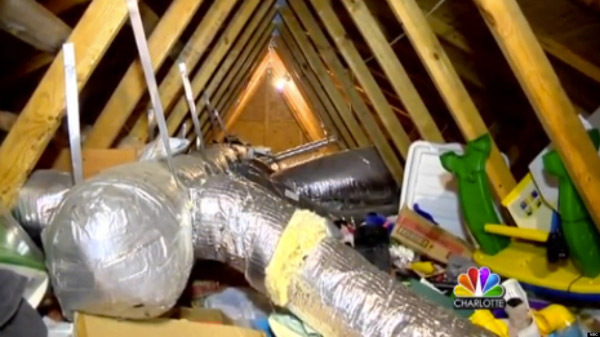 He was actually found next to a vent he rigged up to spy on her. Among the things found in the attic with him were cups of feces and urine (double gross). Well - we hope you enjoyed our musings. Have fun digging around your own home now! 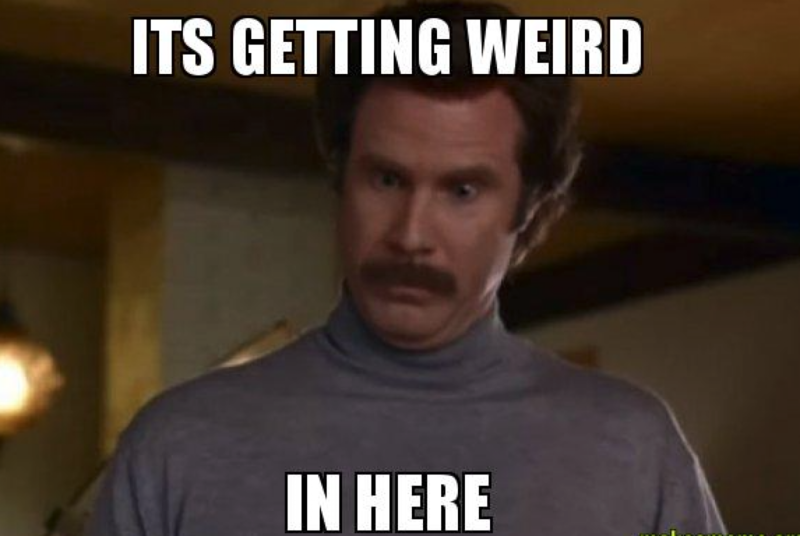 Let us know if you find anything strange!